It was really exciting to finally get an interesting joint project off the ground with the RLSS last week. Gathering at West Bromwich Leisure Centre with a team of like minded individuals, which inluded Jo Talbot -Director RLSS and Helen Meckiffe - Safety Manager Right Directions to name but two. Overnight filming this week with the RLSS UK when we shot footage to produce realistic videos of casualties in difficulty, many of which we re-enacted from actual incidents…. Looking forward to sharing the results of this first set of resources, in what we all hope will be a very worthwhile initiative. The focus of the seminar was to provide operators with the tools to prevent, rather than cure when it came to Health and Safety incidents in Swimming Pools. The wristband recognises when the child or swimmer is in trouble and triggers the alarm before others around have even recognised that someone near them are in difficulty. Director Robin McGloughlin is delighted to be presenting alongside Right Directions, Helen Meckiffe at this years Quest NBS Conference in Warwick on 27th February.. Entitled: Stitching Together - The Concept of Blended Lifeguarding, which will give an insight into the purpose of drowning detection technology, it’s place within the industry and a review of how we can support the evolution of Lifeguarding. The next in our successful series of Swimming Pool Seminars - “Prevention is Better than Cure” is being held on Thursday 21st March in Basingstoke. Early morning and late night in Laganvalley Leisureplex with Mac&Mac Media shooting some material for our forthcoming Elevate event in London. The UK’s largest physical activity trade show is taking place in London this May and we will be there! Huge thanks to the ever helpful, understanding and accommodating staff at the Leisureplex - very much appreciated. We are delighted to announce that Daniel Collier has joined us as Contracts Manager having spent the last six years at the Environment Agency. He is a 2012 graduate from the University of Leeds with an MEng in Civil and Environmental Engineering. Daniel brings a different perspective and drive to Poolview and as well a being our key contact for all installations, he will focus on high quality and timely Contract Delivery, alongside the Health, Safety, Environment and Wellbeing of both the business and workforce. Welcome Daniel - another cog in the wheel for Poolview - delivering “Blended Lifeguarding” to poolside! Poolview Ltd - A Lifeguarding Company - using Technology to Support Lifeguards! Delighted to be involved once again at the latest “Safety in Swimming Pools” seminar in Solihull. The seminar was attended by those who are involved in the management, maintenance or operation of swimming pools and focused on providing tools and techniques that would allow leisure operators to "prevent as opposed to cure" when it came to Health and Safety incidents. Another visit to Stuttgart and the largest “Pool Show”in Europe. Meeting old friends and making new. As the pace of Poolview Plus+ installations continues around the country, it has become a necessity to add another vehicle to the fleet and very nice it is too! Poolview Plus+ Getting to the Moon! I have had some very interesting conversations over the last month or so with quite a few individuals about how we make use of technology to support lifeguards in swimming pools. The majority was very positive, but some of it was quite surprising, raised by uninformed thinking from a few individuals. less understanding of the progress and the pace of change.. So I thought I should put fingers to keyboard (not pen to paper)! At this stage in the UK with progress on the introduction of Drowning Prevention and Detection Technology we have just moving from the “Innovators” stage into the “Early Adopters” phase of establishment. Innovators (2.5%) – Innovators are the first individuals to adopt an innovation. Innovators are willing to take risks, youngest in age, have the highest social class, have great financial lucidity, very social and have closest contact to scientific sources and interaction with other innovators. Risk tolerance has them adopting technologies which may ultimately fail. Financial resources help absorb these failures. For companies like Poolview Ltd and their Innovater/Early Adopter partners this can prove to be a very trying time as well as exciting. When I reflect upon how we got here and really take stock and look at the numbers, the realisation really does hit me that we are forging and developing a new frontier. As an innovator in my days as a leisure manager I was very blessed with having an understanding and supportive Director. I didn’t realise it until quite a few years later, I just presumed that everyone was in the same boat as me! Roll forward quite a few years as I dipped my toes in the private sector and actually trying to “sell” technology - I very quickly realised that finding “Innovaters” was very difficult and that’s when the penny dropped that not everyone thought the same way as me. So when we started Poolview Ltd just six short years ago, we formed a very tentative partnership with the then called DC Leisure. Like any partnership it took time to gain mutual trust, grow and develop. We both wanted to "add layers of protection" to existing safety arrangements for swimmers and lifeguards alike. Figuring out together, how best to achieve this and in what configuration was the challenge. This we did in a very organic way. Year one - 3 installations, Year two 7 installations, Year three - 15 installations, right up until today with the now called "Places Leisure" where we have installed or are installing just short of 70 systems in their swimming pools. Places Leisure during this growth became much cherished “Sneezers” (a Sneezer is someone who spreads an idea) and installations in other private sector companies such as Everyone Active and Serco etc. followed. Throughout this entire period we stopped “selling” product and rather concentrated on advising and educating the industry as to the benefits of ALL types and makes of technology for lifeguards, both wearable and optical. I very strongly believed that we were at a tipping point within the industry and that our mission was to challenge, shape, mould and change the way in which we lifeguard pools in the UK today. Engagement with many key players in the field, from the RLSS to Sport England, from the HSE to CIMSPA was vital, either face to face or round the back door! In the eyes of the public - computer detection has been around for some time with Poseidon probably being the most widely known over that last two decades - but it always seemed to be a “nice to have, but not an essential" luxury! We again were very lucky to have an incredibly supporting and accommodating partner in the guise of Places Leisure who kindly gave us permission in the summer of 2016 to start testing the software in the background with our Norwegian partners SwimEye. I had a very focussed view on how I wanted the software developed for use in the UK market and thankfully I was fully supported by my fellow Directors, SwimEye and importantly Places Leisure - this integration is now referred to as “Blended Lifeguarding”. We finally launched Poolview Plus+ on January 4th 2018 in Graves Health and Sports Centre and to say it has been an interesting eight months since, is the understatement of the century! We feel privileged to now have a joint vision for what we are trying to achieve with both Places Leisure and most recently Everyone Active. Support from GLL, Freedom, Serco, David Lloyd and Parkwood to name a few has also been both constructive and integral. However, what we should not forget nor lose sight of is that for us and many others this is just the start of a journey. The use of technology in swimming pools has been around for 20 plus years with little real advancement nor adoption until recently. The pace of our software development since January has been phenomenal with rapid advances every couple of months. Poolview Ltd is very committed to the use of technology in swimming pools, but not for the sake of technology. The Lifeguard is at the forefront of our minds with any change or improvement we make. "We can teach lifeguards great detection skills, efficient emergency action plans, practical rescue techniques and high quality CPR. What we can’t teach them is how to be vigilant for long periods in low stimulation environments" (Gary Johnson - Pool Super Vision). The industry needs developing technology such as Poolview Plus+. We can’t rescue them, if we don’t see them. 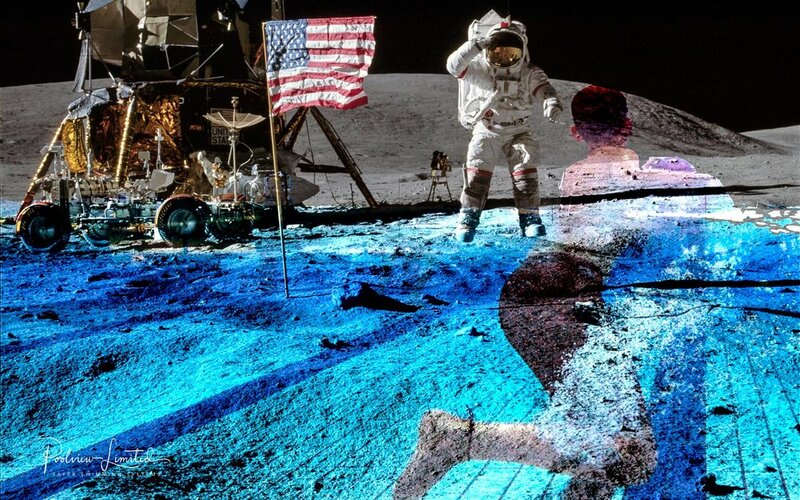 We didn’t just waken up in July 1969 and man had suddenly landed on the moon. It took a decade of intensive effort, development and training to get there. With technology in pools, we have orbited the moon, but we haven’t landed yet! Directors - Paul Brown, Chris Day and Robin McGloughlin in the new Kinoulton premises. Delighted to have moved into our our new premises and base in Kinoulton. Our unit is sited in Wolds Farm Business Park and it's from here that we assemble and prepare all our systems for installation. The maintenance and install teams also operate from here and we are "filling up" the space very quickly. Poolview Plus+...... An Invasion of Privacy or an Invasion of Safety & Support? Part of a Lifeguards job is to watch you and keep you safe, no matter what shape, size, gender, colour or faith you are! Lifeguarding is a very responsible job. It can also be incredibly hot and boring. Sometimes it is difficult to concentrate and focus. The consequences of failing to spot someone in difficulty can be devastating in many many and far reaching ways. Whilst the professionalism and the qualifications available to Lifeguards have improved immeasurably since my time “on the deck”, the “tools” available to assist the Lifeguard with their duties have changed very little (particularly the most ergonomically unfriendly high chair). Despite this, expectations to perform at a higher more vigilant level have increased dramatically! As one highly trusted industry colleague used to say “if you asked a Managing Director to run a company with just a pencil and a bit of paper today, you would be laughed “out of court” – yet we have expected our Lifeguards to perform with the hypothetical “pencil and paper” and match these ever evolving standards and more complex environments. That is exactly what has driven me to push the concept of “Blended Lifeguarding”, mixing traditional Lifeguarding with new and ever improving technology. Giving the Lifeguards the assistance they need to try and help prevent a tragedy! Whilst a lay person may not fully appreciate it, the environment given to Lifeguards in which they are expected to perform their duties is more often that not far from ideal. Have you ever tried to identify what is going on through water turbulence, glare or sun reflection? These are very real problems Lifeguards encounter every day thanks to the design and build of many swimming pools. The only real way to overcome these problems is to install a technological solution, Or..... you could brick up the windows and only allow 10 swimmers into a pool at any one time… but I’m pretty sure that doesn’t meet the standard of what health and safety folk define as ‘reasonably practicable’. One person's invasion of privacy will be another person's salvation! What we don’t hear about is when one Lifeguard uses his/her bit of Technology to “see” something that they might have, would have or could have been missed. This very interaction may well have stopped a “chain of events” dead in its tracks and life carries on as normal – we will just never know that a tragedy had just been averted. Drowning Detection and Prevention Technology is here to stay. Drowning in a public pool is NOT a “help me, save me” TV rescue drama. It is silent, quite unremarkable occurrence, often triggered by an unsuspecting medical event, with consequences which are simply deadly. Every assistance we can give to both the Lifeguards and Swimmers can only be a positive. The camera systems in swimming pools are not security systems. They don’t recognise faces nor number plates, they aren’t analysed by individuals in a dark room – they are simply additional eyes for lifeguards to try and help keep you and your family safer. When I was a Leisure Centre Manager at the turn of the century, I installed an old video tape underwater camera system. I let people know at reception that they were now entering the “safest” pool in Ireland. If anyone complained or made an issue, I very politely explained that my Lifeguards were paid to watch them and keep them safe. I further explained that the cameras gave my Lifeguards an un-compromised view of below water swimmer activity and their behaviour, which in turn would reduce the risk of anything untoward occurring. I also stated that all the recorded images could not be accessed by unauthorised staff, it was under lock and key and would only be viewed following an incident and that it would also only be retained for a week. If they still didn’t like it – I suggested they try swimming somewhere else in a pool that wasn’t just quite as safe! On the day our team were commissioning another Poolview Plus+ installation in the North East, Director Robin McGloughlin welcomed our Davo Business Partner MD, Tor Petter Johansen from Norway and Helen Meckiffe, Lifeguard Industry Expert to one of our early installations. Spending most of the day on site observing how "Blended Lifeguarding" works in practice, testing the system and discussing ways to keep the process of continuous improvement moving, it proved to be a very worthwhile and productive day! We are delighted to announce that we have installed and commissioned our first Poolview Plus+ Computer Vision Drowning Detection System for Warner Leisure Hotels and Bourne Leisure Limited at their Cricket St Thomas hotel. The scene of much of the famous TV comedy, To The Manor Born, Cricket St. Thomas was also frequently visited by Lord Nelson and Lady Hamilton. This classic country house is set in splendid parkland, with colourful gardens, lakes, and a unique woodland area. The hotel provides extensive entertainment, including nightly live performances, and excellent dining venues, including The Granary which is set in a pretty walled garden. Hard to believe that it has only been 12 months since we won the "Best Facility Innovation" award for our Poolview Plus+ Computer Vision system for the Detection of Drowning Incidents at Elevate the UK's largest fitness & physical activity trade show. 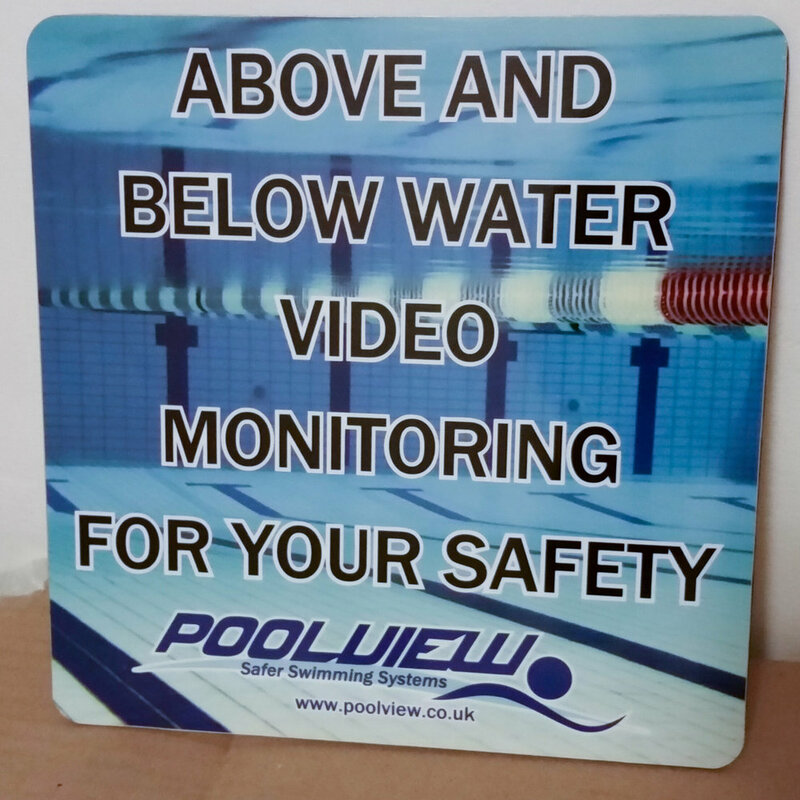 At the time of our Poolview Plus+launch last May we had not installed a single computer driven drowning detection system in the UK. Indeed it was not until December 2017 that our first project was completed in central London at a prestigious private members club who had the foresight to see the many benefits for their staff, members and brand. In the past 12 months we have pushed, educated and encouraged our concept of Blended Lifeguarding, combining traditional methods of Lifeguarding and Technology to support Lifeguards in their role. January saw a series of four Poolview Plus+ installations in quick succession and this week we will be commissioning our ninth Poolview Plus+ installation of 2018. Last week was one of those weeks you can only often dream about. Not only have we finalised plans for the installation of five Poolview Standard Systems, but also received an order for twelve Poolview Plus+ Drowning Detection Systems to be commissioned before the end of September! Fantastic to be at active-net 2018. 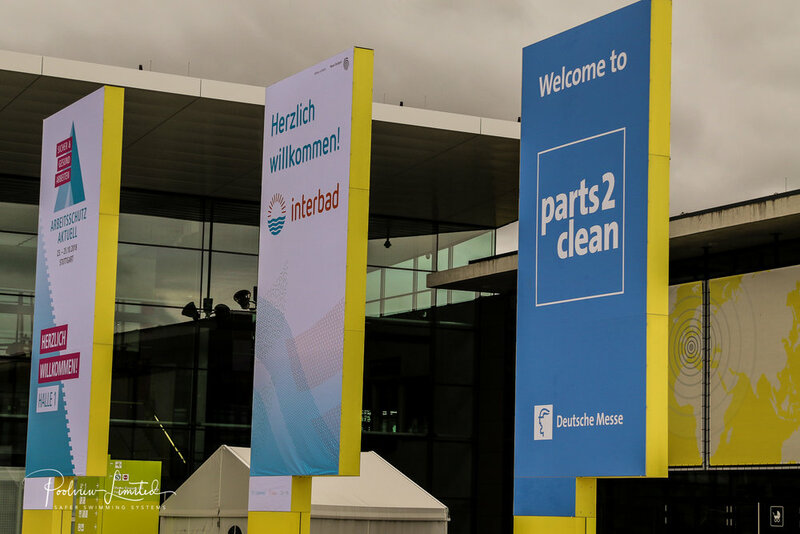 Networking at the highest level - forming new partnerships throughout the entire day. Bringing our concept to the masses - challenging pre-conceived ideas. Really looking forward to attending active-net 2018 on 14th & 15th March. An excellent networking event which combines inspiring educational sessions with a series of productive 1 to 1 "buyer" and "seller" meetings. Delighted to be a panel member on the "Data and Technology in Swimming" session. A great day on site today, handing over our fourth Everyone Active Poolview Plus+ install of January, delivering staff training in partnership with Tim Waller and George Lampshire.